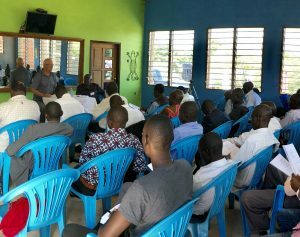 The first Global Baptist Training Foundation class in Uganda is underway. For the first time, we have missionaries as our hosts. Russ and Sylvia Daniels have worked tirelessly for months to prepare a place for the pastors to stay. 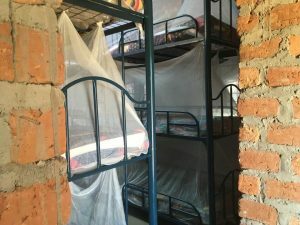 They completely reconstructed a barn and housed it with showers and triple bunk beds outfitted with mosquito nets. 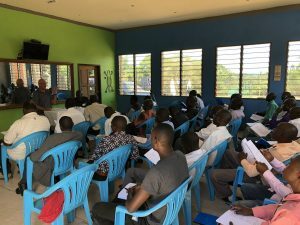 We are so thankful for their investment in training the nationals in Uganda, and we look forward to many years of classes in Entebbe. We are also thrilled to have Dr. Larry Bazer co-teaching with Bruce this week. 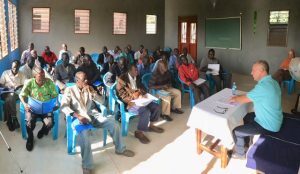 As GBTF continues its rapid growth, we are thankful for Godly, theologically sound, academically qualified teachers who are investing in GBTF’s mission of training nationals around the world. We will have updates later until the week. 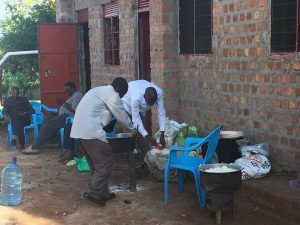 For now, here are some great pictures and the link to a video that will give you a little glimpse of the great work happening in Uganda this week!